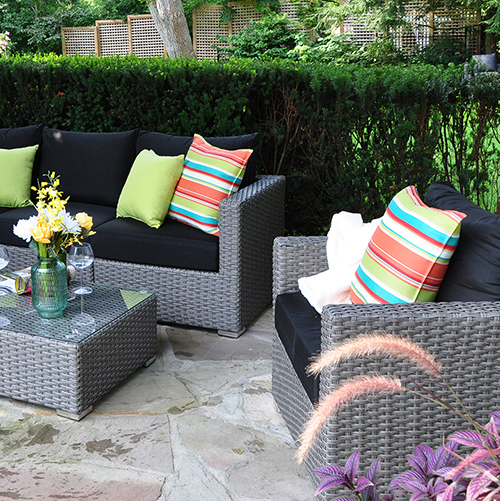 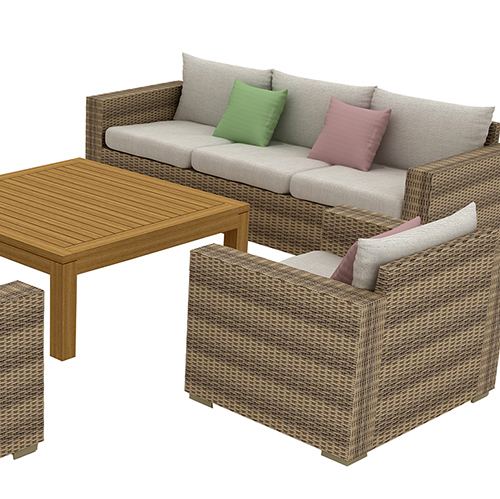 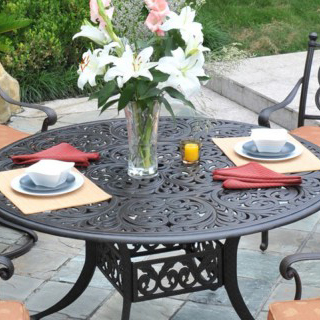 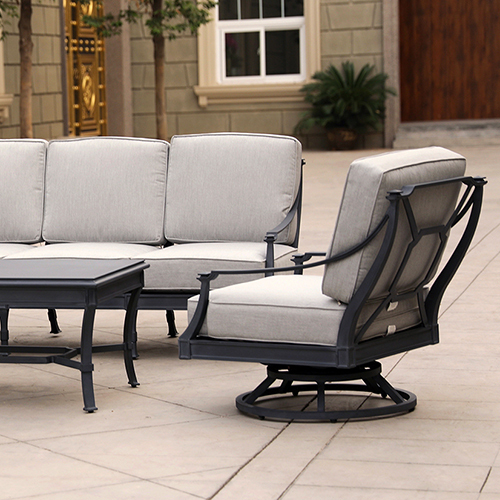 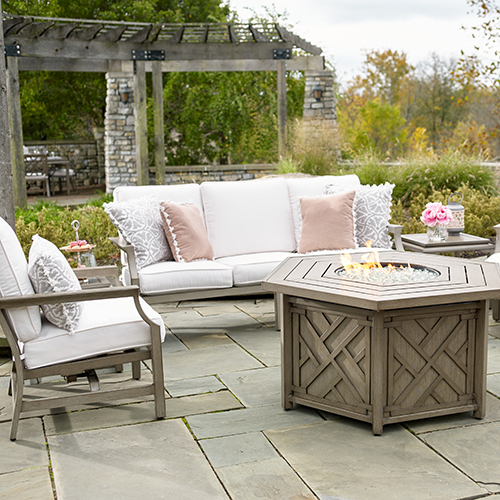 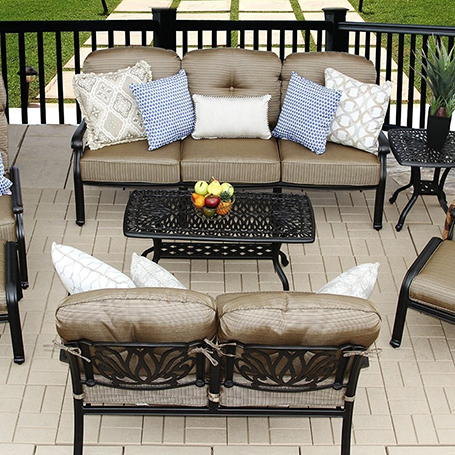 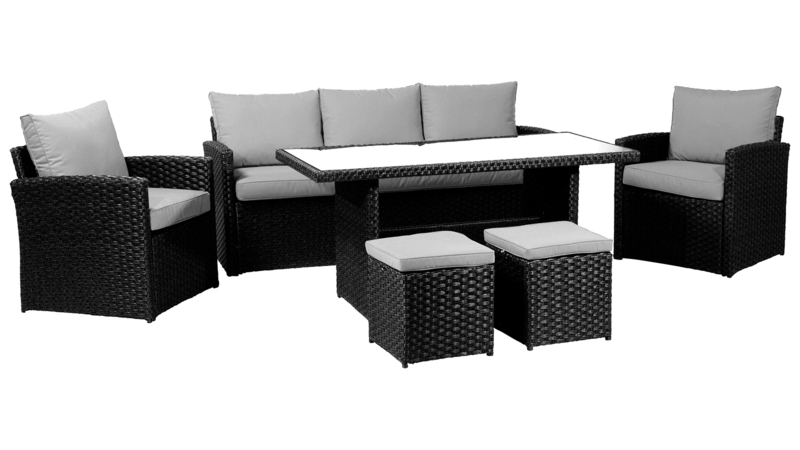 The Campini Deep Seating Patio Set is a 6-piece stylish and functional collection. 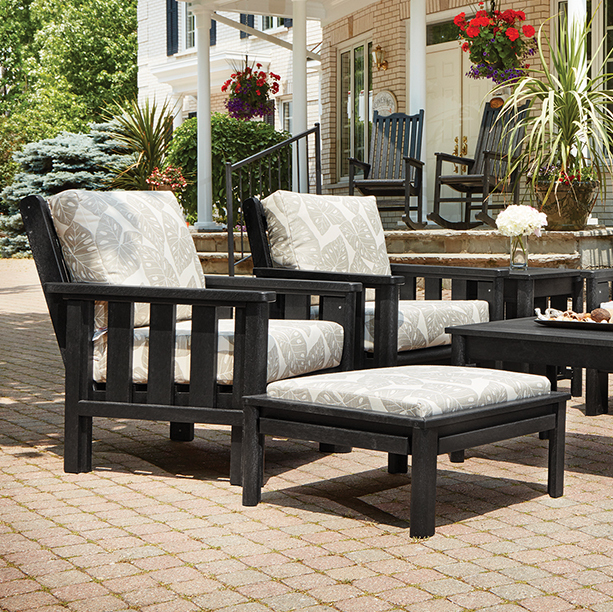 The bold black Resin Wicker frame is strong and durable. 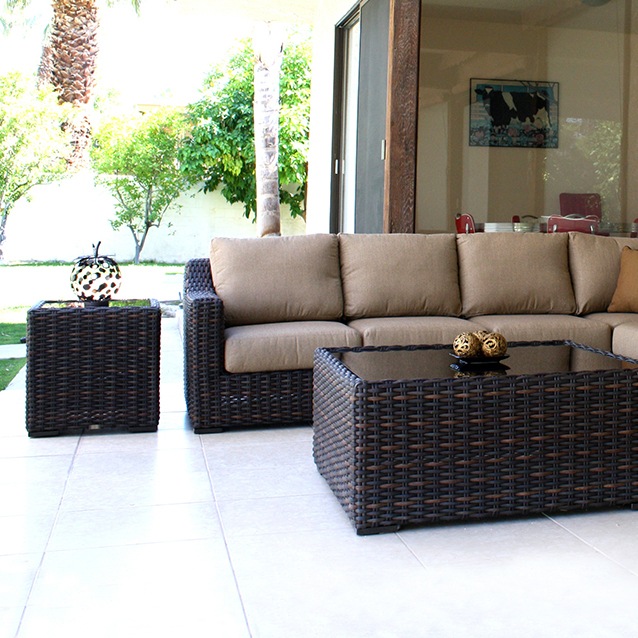 This Resin is flat and tightly woven around a rust-free aluminum frame for a sleek and modern look. 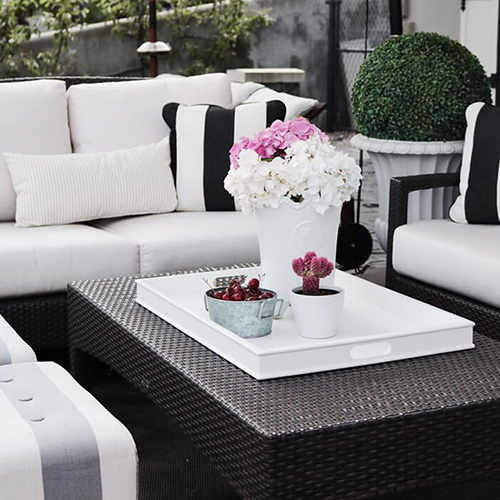 The light grey Durasonn cushions included are both fade and water resistant; the sofa and club chairs provide enough back support for all types of entertaining. 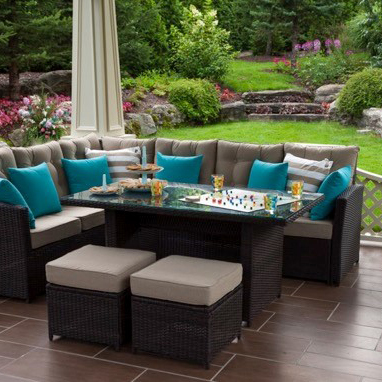 The Campini 6-piece dining collection features a dining height coffee table that is easy to clean, maintain and store. 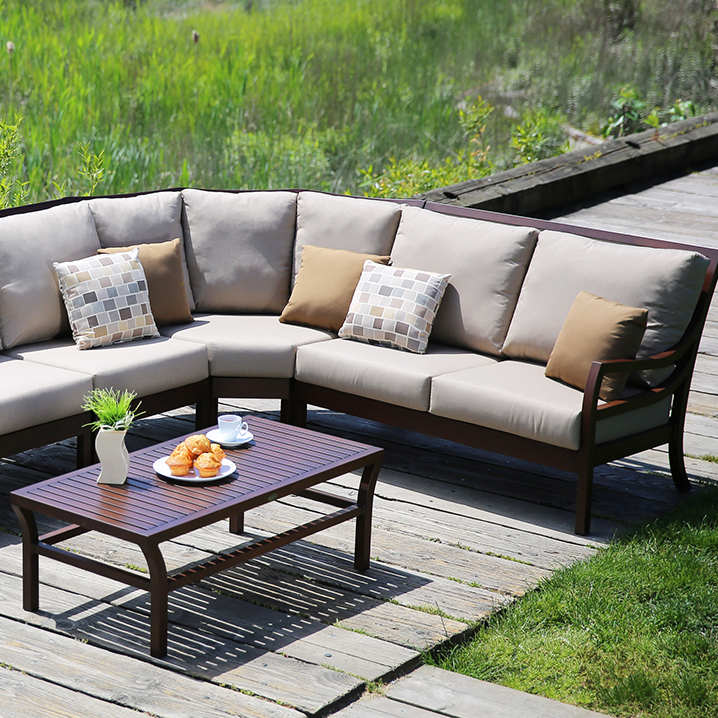 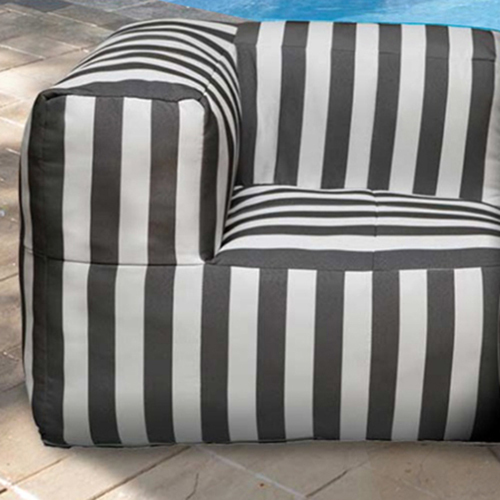 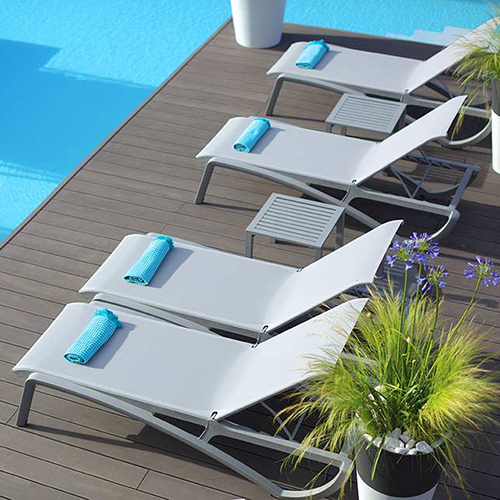 Use this multi-functional deep seating collection for all things necessary outdoors! 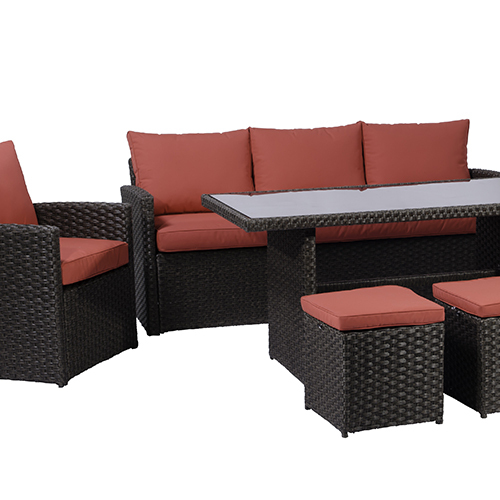 The Campini is sure to elevate your next dinner party.